I drive a commercial vehicle and I was arrested for drunk driving while operating that vehicle in Virginia. My blood alcohol level was lower than 0.08 percent. What should I do? Even if your blood alcohol content (BAC) was lower than 0.08 percent, you should take the drunk driving charge seriously and you should contact an experienced DUI defense lawyer as soon as possible. In order for the prosecutor to get a conviction in your case, the Commonwealth must prove that you drove or operated a commercial motor vehicle while under the influence of alcohol. Fines and jail time are possible consequences for a commercial driver who is convicted of a DUI. Any commercial driver who is convicted of a DUI may face a potential fine of at least $250. Additionally, jail time can range from a few days to a year depending on your blood alcohol level as confirmed by a chemical test for your first offense and then by the number of times you have been convicted for subsequent offenses. Of course, a DUI conviction could also have a significant impact on your ability to keep your job or to get another driving job. Fines, jail time, and loss of employment are serious consequences. It is important to make sure that you have a proper defense so that any potential penalty is fair and that potential penalties can be avoided to the extent possible. To learn more about your rights, and about how to protect yourself, please contact us to schedule a free, no-obligation consultation with an experienced DUI defense attorney. We also encourage you to download a copy of our free guide: The Guilt Myth Explained DUI DWI Arrest Survival Guide today. How Does a DUI Affect My Employment Opportunities? If I’m Convicted of a DUI in Virginia, Will I Be Required to Go to Rehab? How can a lawyer help me if I face jail time for reckless driving in Virginia? 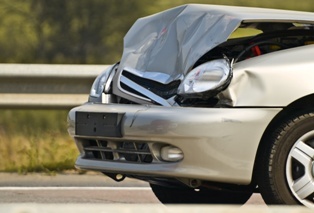 A lawyer can help you minimize the criminal consequences of a reckless driving charge. If you are convicted of reckless driving in Virginia then the judge may sentence you to time in jail. However, that doesn’t mean that you will definitely go to jail or that you will be unable to prepare for any jail time you are required to serve. According to Virginia law, any instance of reckless driving is a Class 1 misdemeanor and a Class 1 misdemeanor carries a potential sentence of up to 12 months in jail. In some cases, such as reckless driving without a valid license or reckless driving that results in a death, the crime of reckless driving may be classified as a Class 6 felony. A Class 6 felony carries a potential sentence of up to five years in jail. Defend you against the criminal charges you face. While no ethical lawyer can promise you an acquittal, our lawyers are proud to work hard to protect the rights of each and every client whom we represent. We will use the available evidence to try to avoid a conviction for you which will mean that you avoid jail time. Argue for a reduced sentence. If a conviction is likely then your lawyer will fight to reduce your jail time as much as possible. Advocate for a suspended sentence. If you receive a suspended sentence then you will not go to jail as long as you do everything that the court asks you to do. 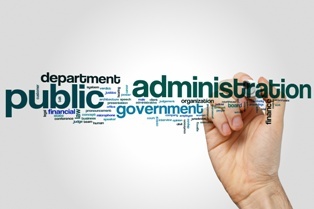 Request a delayed reporting if you are sentenced to jail time. This will allow you to get your affairs in order before going to jail. In some cases, you may be able to appeal your conviction. Jail time is a possibility after a reckless driving charge, but it is not a foregone conclusion. Accordingly, we encourage you to contact The Wilson Law Firm today to discuss your legal rights and to find out how we may be able to help you during this difficult time. Please reach out to us via this website or by phone today to schedule a free, no-obligation consultation and to learn more about what you can do in light of the reckless driving charges you face. Can an ambulance driver be charged with reckless driving in Virginia? Yes, an ambulance driver may be charged with reckless driving in Virginia. However, what is considered to be reckless driving may depend on whether or not the ambulance was operating in an emergency situation at the time. 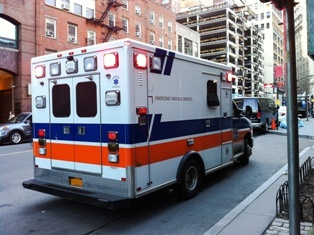 When an ambulance driver is on the way to get to someone who is facing a medical emergency or is transporting that person to the hospital, then the ambulance driver has the right to exceed the speed limit and to drive in a way that might otherwise be considered reckless driving. Proceed through a traffic signal or stop sign without stopping but with a reduced speed. Disregard regulations about which way a vehicle can turn. Pass another vehicle at an intersection. Pass a stopped or slow-moving vehicle. At all times, however, the ambulance driver must have due regard for public safety. These exemptions only apply when the ambulance is using its lights and sirens. When the ambulance driver is not working in an emergency situation, then all of Virginia’s reckless driving laws apply just as they would to the driver of any other vehicle. If you are an ambulance driver and you have been charged with reckless driving, then it is important to talk to an experienced reckless driving lawyer as soon as possible. You may be found guilty of reckless driving and that could have a significant impact on your employment and your future. To learn more, please contact The Wilson Law Firm directly to schedule a free, no-obligation consultation and to learn more about your rights and protecting your future. What kinds of witnesses are important in a reckless driving case? Witnesses may play a very important role in your defense if you have been accused of reckless driving. Both eyewitnesses and expert witnesses may be able to help you defend yourself against the Commonwealth of Virginia’s reckless driving charges, but first you must know what each type of witness can offer and whether they are important to your individual defense case. 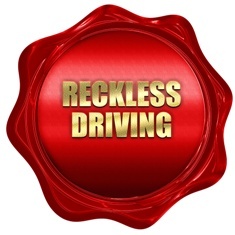 A person who witnessed your driving at the time you were accused of reckless driving may be useful in your defense. 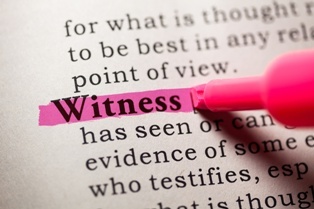 How an eyewitness can help depends on the exact nature of the charge against you and on what the witness saw. For example, if you are accused of passing a stopped school bus or failing to give proper signals, and the witness saw otherwise, then that information could be useful to your defense. As with eyewitnesses, the way that an expert witness may be able to help you depends on the type of reckless driving with which you were charged. If you were charged with reckless driving speeding, for example, then a qualified witness may be able to testify about any issues with the police officer’s speed detection equipment or the officer’s use of such equipment. In some cases, accident reconstructionists or other experts may also be helpful to your defense. Not all reckless driving defense cases have eyewitnesses, and not all reckless driving defense cases require expert witnesses. However, when an eyewitness is available or an expert witness can be useful, then you want to make sure that consider using these witnesses in your reckless driving defense case. The usefulness of the witness’s testimony. The cost of the expert witness. Whether the witness is reliable. The experienced reckless driving defense lawyers at The Wilson Law Firm can help you weigh these factors and make the decision that is right for your case. Call us today for a free and confidential consultation about your rights and to find out more about defending yourself against charges of reckless driving in Virginia. How Reliable Is the Witness in Your Reckless Driving Case? Can I be convicted of drunk driving if I wasn’t involved in an accident? Yes, you may be convicted of driving under the influence (DUI) or driving while intoxicated (DWI) in the Commonwealth of Virginia even if you weren’t involved in an accident. It is against the law to drive while intoxicated regardless of whether or not you cause a crash. 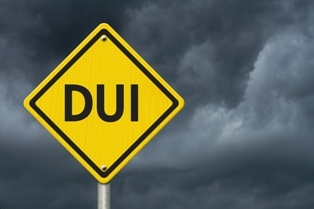 Even if there was no collision, property damage, injuries, or deaths associated with your charge of drunk driving, your first DUI conviction may result in a Class 1 misdemeanor on your record. It may also result in a fine, restrictions on your license, jail time, and other significant consequences. If you are charged with drunk driving in an accident that caused a serious injury or fatality, then you may be facing felony charges. The consequences of a felony charge may include significant time in prison, license revocation, and other penalties that could impact your ability to get a job or your right to vote. While the consequences of a DUI may be more significant if someone was hurt or killed in the crash, the consequences of a DUI with no accident are still significant and may still have a serious impact on your life. Accordingly, it is important that you are represented by an experienced drunk driving defense lawyer if you are charged with any drunk driving crime in Virginia. A lawyer who is trained to use and understand the sobriety tests used by the police and who has represented many other people charged with drunk driving in Virginia may be able to help you defend yourself against the serious charges that you face. The time to take action is now. Contact a lawyer as soon as you can to make sure that all of your rights are protected. The Wilson Law Firm offers free consultations on DUI defense cases. To schedule your meeting, please call us or reach out to us via this website. Can I Be Charged With DWI and DUI Manslaughter? Does a reckless driving charge make me a bad guy? No, neither a reckless driving charge nor a reckless driving conviction makes you a bad person. Reckless driving is not a moral judgment. A person is not necessarily “bad” just because he was driving more than 80 mph or violating the reckless driving law in another way just like a person is not necessarily “good” just because the person was traveling at or below the speed limit. Reckless driving may not make a driver a bad person, but it could make a driver guilty of violating a Virginia state law. The general reckless driving statute in Virginia makes it a crime to operate “…a vehicle on any highway recklessly or at a speed or in a manner so as to endanger the life, limb, or property of any person….”. Other Virginia statutes define specific ways that a driver may be driving recklessly. If you meet the elements of any of the statutes then you may be rightfully charged with and convicted of reckless driving, but you still may not be a bad person. Even if you were driving recklessly, you may have had a good reason for doing so. For example, you may have been late to pick up your child, you may have been rushing to see a sick family member, or you may have been running late for a really important meeting. While these are understandable reasons for reckless driving, they may not be legal defenses for reckless driving. Since you face a crime and the potential penalties that come with being convicted of a crime, it is important to focus on the legal aspects of your case rather than the moral aspects of your case. Attorney T. Kevin Wilson understands that while reckless driving is risky and against the law, not every person who is charged with reckless driving deserves to be convicted. For a free and fair case evaluation, please contact The Wilson Law Firm today. Here, no judgments will be made about the charges against you. Instead, we will focus on specific elements of the law to determine how best to help you after a reckless driving charge. Will a Reckless Driving Conviction Affect My Security Clearance? I’ve been charged with reckless driving in Virginia. Will my case be heard in a state court of in a federal court? In most situations, your case will be heard in a Virginia state court. However, there is an exception to this rule that could result in your case being heard in federal court. The George Washington (GW) Parkway in Alexandria. The area around the Pentagon. It is important to determine whether you were ticketed for alleged conduct that occurred in Virginia or in a federal territory. 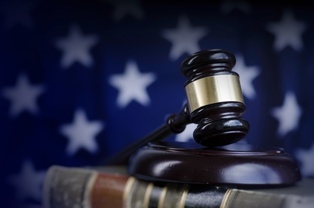 If you are accused of reckless driving in a federal territory then your case will be heard in a federal district court such as the Federal Court in the Eastern District of Virginia. If you are convicted in state court or federal court then your reckless driving conviction could have serious consequences that include not only jail time and fines, but that also impact your military service and security clearance. Regardless of where your case will be heard, you need a Virginia lawyer who has a lot of experience representing people who have been accused of reckless driving in Virginia. Attorney T. Kevin Wilson provides excellent representation for his clients. His years of experience, his certification in the operation of police traffic radar and lidar, and his dedication to every client are important assets that allow him to help each of his clients. If you have been charged with reckless driving in Virginia or in a federal territory within Virginia then it is important to start protecting your rights immediately. Please contact The Wilson Law Firm today for a free, no-obligation consultation. Can I Be Arrested for Reckless Driving in Virginia If My License Is From Another State? Is running late a defense to a reckless driving charge in Virginia? No. There are times when you are up against a deadline and you are nervous that you aren’t going to get somewhere in time. You may be running late for a medical appointment, a business meeting, or to pick up your child, for example. These are stressful situations and it is understandable that you were driving faster than usual. If you were driving more than 20 mph over the speed limit or more than 80 mph then the police may charge you with the crime of reckless driving. Make no mistake about this—you have not received a speeding ticket. You have been charged with a crime and you face significant penalties including fines and jail time. Accordingly, it is important to know how to defend yourself. Review all of the evidence against you and determine whether the Commonwealth of Virginia can prove the charge of reckless driving. Your lawyer will carefully review any evidence of speeding. If there is any problem with the evidence, or if the evidence does not show that you were traveling at a speed that constituted reckless driving, then the state may not have a criminal case against you. Consider any possible defenses to your reckless charge. We will review all of the reasons why you may have been speeding in order to determine if there is a viable defense to the charge against you. You were stressed, with good reason, on the day that you were charged with reckless driving and you remain stressed about the charges that you face. Get the accurate information that you need today to protect your future. Contact The Wilson Law Firm to schedule a free, no-obligation consultation with an experienced lawyer who will fight hard to see that you are treated fairly. 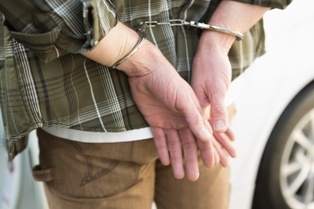 Can I be charged with both DWI and DUI and involuntary manslaughter? Yes. Driving while impaired (DWI), driving under the influence (DUI), and involuntary manslaughter are separate and distinct crimes in the Commonwealth of Virginia, and you may be charged with more than one crime arising from the same incident. However, in order to be sentenced for both crimes, the prosecution will need to prove that you meet all of the elements of each crime. You had a blood alcohol content of 0.08 percent or higher. You were under the influence of drugs or alcohol. You were driving under the influence of alcohol, drugs, or both drugs and alcohol at the time of the accident. The prosecution does not need to prove that you had a specific blood alcohol content or that you were technically driving under the influence. You unintentionally caused someone else’s death. The fatality must have occurred as a result of intoxication. If the prosecution fails to meet all of the requirements of a DWI charge, then you may still be found guilty of involuntary manslaughter if the prosecution can prove the elements of that crime. Likewise, the reverse may be true and you may be found guilty of DWI, but not of involuntary manslaughter even if someone died in the accident. If you face DWI- or DUI-related involuntary manslaughter, other involuntary manslaughter charges, or other criminal charges, then you need a good defense lawyer to help you protect your rights. You could be facing serious criminal penalties including a fine, a license suspension, and jail time. Therefore, it is important to start preparing your defense as soon as possible. Please contact the Wilson Law Firm today to schedule an initial consultation and please download our FREE Virginia DUI/DWI Arrest Survival Guide today now so that you can get the information you need immediately. Can a DUI Be Involuntary Manslaughter? My spouse was charged with reckless driving. What can I do to help? The time immediately following a reckless driving charge can be overwhelming and confusing. The person facing the charge may have never faced a criminal charge before and may be unsure about what to do now. A reckless driving ticket is very different from a regular speeding ticket or traffic infraction. A reckless driving charge is a criminal charge that could result in a criminal conviction. Accordingly, if your spouse has been charged with the crime of reckless driving then it is important to do everything that you can to help your spouse through this difficult time. Providing emotional support. Your spouse may be angry, confused, and upset about the charges he’s facing. He may not be looking to you to have all of the answers, but instead, he may looking for you to listen to his concerns. Providing transportation. If your loved one is convicted of the reckless driving charge then his license may be suspended or restricted. With a suspended license, your spouse may be unable to drive at all for a period of time. With a restricted license, your spouse may only be able to drive for certain purposes, such as to get to and from work, for a period of time. Either way, your spouse may depend on you for rides and to do more of the household errands and family driving. Preventing your spouse from making mistakes that could hurt a reckless driving case. This includes, for example, posting things on Facebook or other social media accounts that could be used against him. Helping your spouse find an experienced Virginia reckless driving lawyer. An attorney can make sure that all of your spouse’s rights are protected and can represent your spouse in court. You do not have to have all the answers. Instead, you both can depend on your spouse’s reckless driving lawyer to advise your spouse about what to do next. To learn more, please contact The Wilson Law Firm today for a free, no-obligation consultation with an experienced reckless driving lawyer. What Can Happen to Me If I’m Convicted of a Virginia Reckless Driving Charge? Are reckless driving and road rage the same thing? 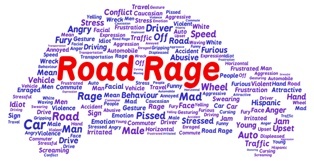 In some cases behavior that is commonly referred to as road rage may be reckless driving and in some cases reckless driving may also be road rage. However, there are times when a driver may have road rage and may not have been driving recklessly just as there are times when a reckless driver may not have been engaged in road rage. Reckless driving has a specific legal meaning in Virginia. It is defined in our state statutes. If a driver engages in activity that meets one of the standards described in the statutes, then the driver may be charged with reckless driving. Road rage is different. Road rage is a term that is commonly meant to describe an angry driver who is driving aggressively. State law defines aggressive driving, but not in the same way as reckless driving. Therefore, sometimes road rage may be aggressive driving, sometimes it may be reckless driving, and sometimes it may be both. Additionally, road rage may lead to other criminal charges—particularly if the driver is violent. The police officer who pulled you over or who came to the scene of the accident may have thrown around a lot of different terms when he was talking to you. For example, he may have mentioned road rage, reckless driving, or both of these actions. However, what the officer said may not be reflected in the official charges against you. In order to determine what charges you face, what the potential consequences of those charges may be, and how to mount a strong defense, you can bring your official ticket, or summons, to our experienced criminal traffic offense lawyer. For more than 20 years, Attorney T. Kevin Wilson has helped people facing serious traffic offenses, including reckless driving, defend themselves and get back to their lives as soon as possible. Criminal offenses—including reckless driving, aggressive driving, and assault or other charges that may arise from road rage have significant consequences. Contact T. Kevin Wilson today via this website or by phone to learn more about how you can protect yourself. Can I hold public office in Virginia if I’m convicted of reckless driving? In most cases, you can run for office or you can continue to serve in office if you are convicted of reckless driving. Virginia law only restricts someone’s right to hold office if he is convicted of a felony—and most reckless driving convictions are misdemeanors rather than felonies. While reckless driving misdemeanors are serious charges with significant consequences, you still have the right to serve on the school board, zoning commission, in the state legislature, or in another public office if you can get enough votes to be elected. You may be convicted of a reckless driving felony if you were racing and the racing caused someone else’s serious injury or death. This felony conviction carries different consequences than the more typical reckless driving misdemeanor conviction. Since you have been convicted of a felony, you have automatically lost certain civil rights. These rights include the right to vote, the right to serve on a jury, the right to carry a firearm, the right to become a notary public, and the right to run for public office. While you automatically lose these civil rights, the Virginia constitution does provide you with the right to petition the governor for the restoration of your rights. You can do this by contacting the Secretary of the Commonwealth’s Office. 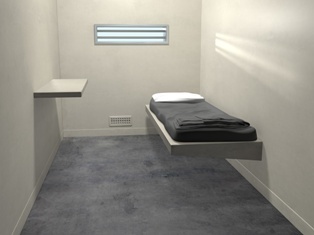 In order to be eligible for consideration, your incarceration or supervision must be over. A reckless driving felony conviction can significantly alter your plans to run for public office. Even if you are ultimately able to get the governor to restore your right to run for office, you may expect your political opponents to use your felony conviction against you. Accordingly, it is important to protect your rights beginning at the time that the police officer gives you a reckless driving ticket. Contact T. Kevin Wilson today, through this website or by phone, for a free, no-obligation consultation and learn what you can do right now to protect your ability to run for office, your civil rights, your finances, and your freedom. If I’m Convicted of Reckless Driving in Virginia, Am I Going to Be Put in Jail? Can a motorcyclist be charged with reckless driving in Virginia? Yes, a motorcyclist may be charged with the crime of reckless driving in Virginia. The Virginia reckless driving statute refers to “…any person who drives a vehicle on any highway…” and thus is not limited to the drivers of automobiles and trucks. 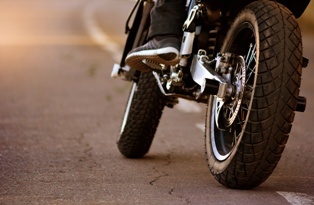 A motorcycle is a vehicle, a rider is a driver, and motorcyclists need to know how reckless driving is defined in Virginia and what to do if they are charged with this crime. Speeding. Reckless driving speeding is defined as traveling over 80 mph or traveling 20 mph or more over the speed limit. Driving too fast for highway conditions. Operating your motorcycle in any way that endangered life, limb, or property. Driving a motorcycle that was out of control or that had faulty brakes. Passing another vehicle at the crest of a grade or curve with an obstructed view (unless there are two or more lanes going in your direction or you were on a one-way road). Passing two other vehicles (unless there are three or more lanes going in your direction or you were on a one-way road). Traveling two abreast in a single lane. Passing another vehicle at a railroad grade crossing or at certain intersections. Failing to signal your intention to turn, slow down, or stop. You may also be charged with reckless driving if you are found to be speeding or operating your bike in such a way as to endanger life, limb, or property on the driveway of a church, school, recreational facility, or business that is open to the public. Also on the property of an industrial establishment that provides parking or on a highway that is under construction. This is a charge that you need to take seriously. If you fail to take action, then you may be convicted of a crime. In addition to any jail time and fines that you face, there may be other serious consequences of having a criminal record. Accordingly, it is important to take control of the situation as soon as you receive a ticket. Contact The Wilson Law Firm today for a free, no-obligation consultation. Learn about the charges against you and how we can help make sure that your rights are protected if you are a motorcyclist who has been accused of reckless driving in Virginia. Do VA Reckless Driving Laws Apply to ATVs? Can I Be Arrested for Reckless Driving in VA If My License Is From Another State? Can a trucker be charged with reckless driving in Virginia? Yes. In Virginia, the crime of reckless driving applies to anyone who drives a vehicle—not just drivers of passenger cars. While all drivers face significant legal penalties if they are found guilty of reckless driving, truckers face additional consequences because of their line of work. The Commonwealth of Virginia. Reckless driving is a Class 1 misdemeanor in Virginia and the legal penalties for committing this crime may include a significant financial fine, up to 12 months in jail, and a suspension of your driver’s license. The Federal Motor Carrier Safety Administration (FMCSA). While the FMCSA does not define reckless driving, it has classified reckless driving as a serious violation for drivers who have commercial drivers’ licenses and the agency may impose penalties for serious violations that occur in any state. Two serious violations within three years may result in a 60-day disqualification from operating a commercial vehicle and a third violation in three years can bring that disqualification up to 120 days. An employer. Your employer may decide that your employment should be terminated because of your reckless driving conviction and other employers may be unwilling to hire you as a driver. Generally, these potential consequences only apply if you plead guilty to or if you are found guilty of reckless driving. Accordingly, it is important to understand the evidence against you and to make informed decisions about how to respond to the charge of reckless driving. You are facing a serious charge that could impact your livelihood and result in jail time. It is important to take this charge seriously and to make sure that you are treated fairly in accordance with Virginia law. Protect your rights today by contacting The Wilson Law Firm for a free consultation. We can review your case with you and help you through this difficult time by making sure that all of your legal rights are protected. What Can Happen If You’re Convicted of Reckless Driving in VA? Do I need a lawyer if I’ve been accused of reckless driving in Virginia and I think that I really am guilty of driving over the speed limit? Yes, you should contact a reckless driving lawyer even if you think that you are guilty of speeding. Reckless driving is not the same as a speeding ticket. Instead, reckless driving is a crime, and it is important that you understand your rights so that you can be treated fairly under the law. Reckless driving is a specifically defined crime in the Commonwealth of Virginia. Thus, while you may be sure that you were speeding, you may not really know if you should be charged with reckless driving. To be convicted of reckless driving for speeding in Virginia, you must have been driving more than 80 mph or at least 20 mph over the speed limit. Attorney T. Kevin Wilson can investigate what really happened and make sure that you are only held accountable for any legal violations which you actually committed—not those you think you may have committed. Even if you are guilty, you should only receive the sentence that you deserve. An experienced Virginia reckless driving lawyer can make sure that all of your rights are protected and that you are treated fairly throughout your case. In Virginia, reckless driving is a class 1 misdemeanor and you may be sentenced to up to 12 months in prison, a fine of up to $2,500, and a six-month suspension of your driver’s license. Additionally, a reckless driving sentence could result in an increase in your car insurance premiums and it will stay on your record after the government-imposed penalties have been completed. Accordingly, even if you were rightfully accused of reckless driving, it is important that the prosecutor and the court consider all of the information relevant to your case so that an appropriate sentence can be determined. This requires the skill and experience of a reckless driving lawyer who wants to see justice done—even if you were driving over the speed limit. To learn more, please contact Attorney T. Kevin Wilson today for a free, no-obligation consultation about your rights. Do Virginia reckless driving laws apply to ATVs? 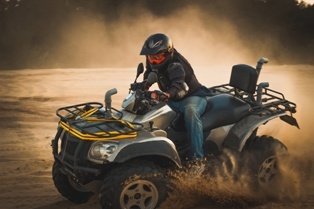 Virginia law defines ATVs as motor vehicles having three or more wheels that are powered by a motor and manufactured for off-highway use, with the exception of go-karts or riding lawn mowers. ATVs are only allowed on public highways in limited circumstances, such as crossing by the most direct route or when they are being operated by law enforcement officers, firefighters, or emergency medical services personnel responding to emergencies. If you operate your ATV in an unsafe manner, you can be charged with reckless driving. Virginia law considers a wide range of actions to be reckless driving, such as driving too fast for weather conditions, failing to yield right of way, and failure to maintain control. However, reckless driving charges involving an ATV often fall under the general rule outlined in Virginia Code § 46.2-852. The law states that irrespective of the maximum speeds permitted by law, any person who drives a vehicle on any highway recklessly or at a speed or in a manner so as to endanger the life, limb, or property of any person shall be guilty of reckless driving. The general rule for reckless driving can be used in cases involving races or stunts that pose a danger to property and public safety. Drivers who engage in this type of behavior and post evidence of their actions on social media will be prosecuted upon identification. Reckless driving is much more serious than a simple traffic ticket. It is considered a misdemeanor criminal offense, which carries hefty fines, potential jail time, and a license suspension. You will also be left with the stigma of a criminal record, which can cause problems with pre-employment background checks, security clearances, military service, graduate school applications, and more. An experienced reckless driving lawyer can help you build an aggressive defense against charges related to ATV operation. To learn more, call Virginia reckless driving attorney T. Kevin Wilson to schedule a free, no-obligation case review. If I was using cruise control, can I be convicted of reckless driving? Cruise control may feel like a lifesaver on long road trips, but this feature must be used carefully to avoid a reckless driving charge. Cruise control takes over the throttle of your vehicle to maintain a steady speed. Traditionally, the driver brings the vehicle to the desired speed and pushes a button to set the cruise control . However, some newer vehicles have adaptive cruise control technology that uses radar sensors to detect the speed of the vehicle in front of you and make the necessary adjustments to maintain a safe following distance. 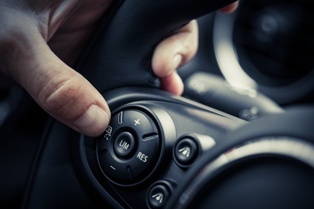 Regardless of what type of cruise control you are using, you can turn off the feature by braking. This means that you are still in control of the vehicle and responsible for safe driving. As such, you can be charged with reckless driving if you are spotted engaging in any behaviors that an officer believes violates the Virginia reckless driving statute. Reckless driving is a misdemeanor criminal offense that comes with hefty fines, potential jail time, and the possibility of a criminal record. As such, it is vital that you prepare an aggressive defense against the charge. Although you cannot use cruise control as a defense, obtaining a speedometer calibration may be an option if you were charged with reckless driving by speed. It is common for speedometers to become less accurate over time. If your calibration shows that your vehicle speedometer was under measuring your speed, the judge will likely give you credit for the discrepancy. This can result in the charge being reduced or dropped if you were clocked close to the legal limit for a reckless driving charge. Questioning the accuracy of the radar or lidar device the officer used to measure your speed may also be an option. Officers are required to have a calibration certificate issued within the past six months. The certificate must provide specific details to confirm the accuracy of the device before it can be accepted as evidence against you. Virginia attorney T. Kevin Wilson has extensive experience helping drivers develop an effective defense against reckless driving charges. Call today to schedule a free, no-obligation initial consultation. 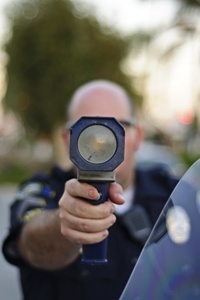 Is the police officer’s radar calibration enough to convict me of reckless driving by speed? Virginia considers reckless driving by speed to be a misdemeanor criminal offense, but you can only be convicted if the officer's radar reading can be proven accurate via a calibration certification. If the certificate doesn't qualify as legally valid, the case can be dismissed due to a lack of evidence. 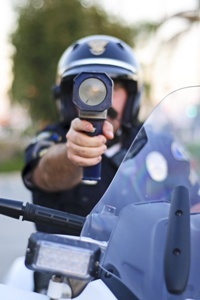 Radar guns send and receive radio signals to calculate vehicle speed using the Doppler effect, which is the change in frequency or wavelength for an object moving relative to the wave source. The devices are calibrated using a tuning fork. A tuning fork is a two-pronged metal fork that is most commonly used as a pitch standard to tune musical instruments, but can be also be used to ensure that the radar gun is accurately tracking the radio signals as they bounce off a speeding vehicle. A radar calibration certificate must be issued within six months from the date of your citation. The certificate needs to clearly identify the radar gun that was calibrated and identify the person who performed the calibration. If the certificate doesn't meet these criteria, it can't be used as evidence. Officers generally produce original calibration certificates, but will sometimes try to submit a photocopy. A photocopy of the original document may not be considered admissible in court, depending on who produced the copy. The court allows true copies of records of the Commonwealth of Virginia or its agencies to be used as evidence in a case. However, the copy needs to be authenticated. A simple Xerox is not enough to prove the accuracy of the radar reading. T. Kevin Wilson has extensive experience helping drivers defend against reckless driving charges. Schedule a free, no-obligation case review to learn more. What are tuning forks and how are they relevant to my reckless driving defense? Tuning forks are two-pronged metal forks that are most commonly used as a pitch standard to tune musical instruments. However, they also play a key role in ensuring the accuracy of a police officer's radar readings. How Are Tuning Forks Used by Law Enforcement? Tuning forks are used to calibrate the radar guns officers use to track speeding vehicles. The officer is supposed to calibrate the radar device at the start and end of each shift to make sure it is producing accurate readings. The tuning fork itself is supposed to be calibrated every six months to make sure it is producing a frequency equivalent to that of a vehicle moving at the targeted speed. How Does This Affect Your Reckless Driving Defense? The most common scenario in which tuning forks become a crucial piece of evidence is when you've been charged with reckless driving by speed for going more than 20 miles per hour over the legal speed limit or over 80 miles per hour regardless of the posted speed limit. Virginia law says a tuning fork calibration is only valid for six months. If the calibration occurred more than six months before the date of your stop, the attorney can use this evidence to support your defense. For the calibration to be valid, the tuning fork serial number must be listed on the calibration certificate. Ideally, the serial number should also be listed on your reckless driving ticket. Different types of radar devices can use different frequencies, so it's vital that an officer be able to establish which tuning fork was used to verify the accuracy of the radar. If the officer can't provide sufficient evidence that the tuning fork calibration is accurate, this casts doubt on the accuracy of the radar reading. If you were ticketed as being only slightly over the limit for a reckless driving by speed charge, this doubt is often enough to get your charge reduced or dropped. To learn more, call today to schedule a free, no-obligation case review with Virginia reckless driving attorney T. Kevin Wilson. Is texting and driving a type of reckless driving? Under Virginia law, texting and driving and reckless driving are two distinct offenses. You can't automatically be charged with reckless driving if you were texting and driving. However, you can be charged with both offenses if you are texting and creating a hazardous situation that qualifies as reckless driving. It is illegal to use a smartphone or handheld personal communications device to either compose or read emails or text messages while driving. However, there are exceptions for people who are operating emergency vehicles, reporting emergencies, using GPS, or reading caller ID. Texting while driving is a traffic infraction, but is a primary offense. This means you can be pulled over and ticketed even if you haven't broken any other laws. The first offense is punished with a $125 fine, while the second or subsequent offense is punished with a $250 fine. You will also receive three demerit points on your DMV record. Reckless driving encompasses a wide range of unsafe behaviors that could be performed while texting. This includes actions such as speeding, driving too fast for weather conditions, failing to give proper signals, and failing to maintain control. Reckless driving is a misdemeanor criminal offense. It is punished with a fine of up to $2,500, potential jail time of up to one year, a driver's license suspension of 10 days to six months, and six demerit points added to your driving record. If you've been charged with reckless driving after texting, it's in your best interests to seek legal representation. Virginia has some of the harshest reckless driving laws in the nation. A conviction will give you the stigma of a criminal record, making it harder to pass a pre-employment background check, apply to graduate school, enlist in the military, or maintain an active security clearance. Attorney T. Kevin Wilson is dedicated to helping Virginia drivers build an aggressive defense against reckless driving charges. Call today to schedule a free, no-obligation case review.